LI: to write a concluding paragraph. 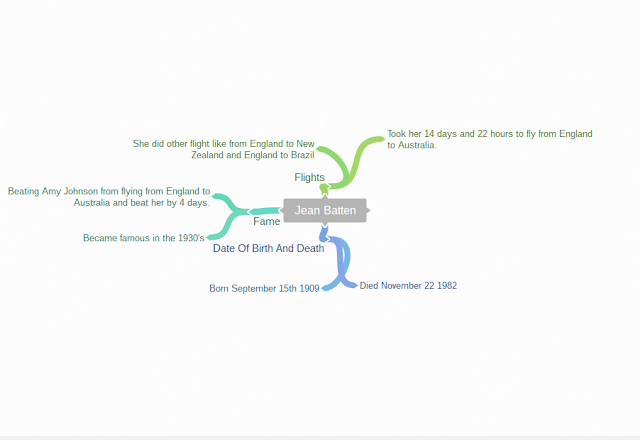 This week for writing we continued last weeks work about introductions and now we are doing the conclusion, and like last week we kept on doing it about our aviator. We kept our Coggle brainstorm, and wrote off that to get our information. Jean Batten is a great achieving woman who broke the speed record from flying from England to Australia in an outstanding 14 days and 22 hours. She did many more flights like England to New Zealand and England To Brazil. She then became one of New Zealand’s hero’s and made people proud of her achievements.